Vocal cord paralysis is characterized by a vocal fold that is not able to move. Typically, the focal cords vibrate and produce sound by moving from an open to a closed position. When vocal cord paralysis occurs, one vocal fold is not able to move to the closed position. This prevents the vocal cords from coming together and results in symptoms such as hoarseness and difficulty swallowing. Usually, vocal cord paralysis is the result of an issue with the recurrent laryngeal nerve, which controls the vocal cord’s motion. This nerve travels from your brain and passes through your neck and chest before entering in the back of the voice box. Laryngoscopy and stroboscopy are used to diagnose vocal cord paralysis. Additionally, a CT scan or MRI may be utilized to get a better look at the recurrent laryngeal nerve. 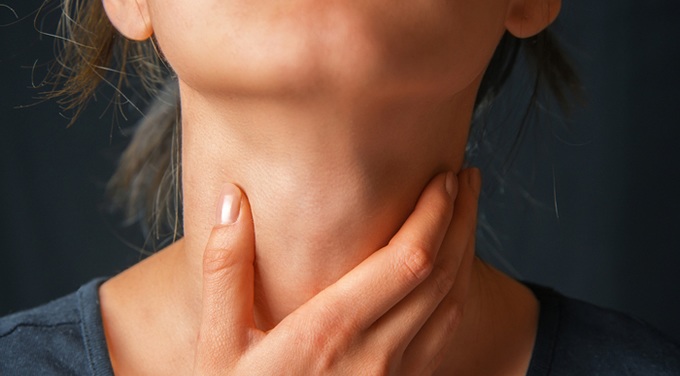 If the nerve is only inflamed and is not cut or damaged, the symptoms of vocal cord paralysis may resolve in up to one year without the further need for treatment. However, if the nerve has been cut during surgery or the symptoms are not improving after one year, further treatment is recommended. One treatment option involves a vocal cord injection during which a filling agent is injected into the vocal fold in order to bulk the paralyzed area and move it to the midline. Additionally, thyroplasty may be performed, during which an implant is placed in the voice box to push the vocal fold to the correct spot. Another surgical option is laryngeal reinnervation. During this procedure, the recurrent laryngeal nerve is cut and connected to a different nerve. This will strengthen the vocal fold and help move it to its correct place.